3) In response to her obligation to witness to the truth and her apostolic faith, our Church attaches great importance to dialogue, primarily with non-Orthodox Christians. 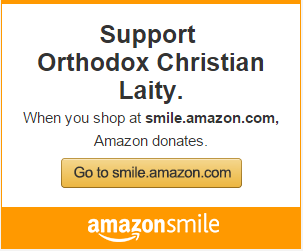 In this way the remainder of the Christian world comes to know more precisely the authenticity of the Orthodox Tradition, the value of patristic teaching and the liturgical life and faith of the Orthodox. 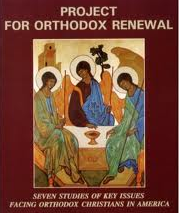 The dialogues conducted by the Orthodox Church never imply a compromise in matters of faith. 7) In regard to the matter of the relations between Christian faith and the natural sciences, the Orthodox Church avoids placing scientific investigation under tutelage and does not adopt a position on every scientific question. She thanks God who gives to scientists the gift of uncovering unknown dimensions of divine creation. The modern development of thenatural sciences and of technology is bringing radical changes to our life. It brings significant benefits, such as the facilitation of everyday life, the treatment of serious diseases, easier communications and space exploration, and so on. In spite of this, however, there are many negative consequences such as the manipulation of freedom, the gradual loss of precious traditions, the destruction of the natural environment and the questioning of moral values. Scientific knowledge, however swiftly it may be advancing, does not motivate man’s will, nor does it give answers to serious moral and existential issues and to the search for the meaning of life and of the world. These matters demand a spiritual approach, which the Orthodox Church attempts to provide through a bioethics which is founded on Christian ethics and Patristic teaching. Along with her respect for the freedom of scientific investigation, the Orthodox Church at the same time points out the dangers concealed in certain scientific achievements and emphasises man’s dignity and his divine destiny. 8) It is clear that the present-day ecological crisis is due to spiritual and moral causes. Its roots are connected with greed, avarice and egoism, which lead to the thoughtless use of natural resources, the filling of the atmosphere with damaging pollutants, and to climate change. The Christian response to the problem demands repentance for the abuses, an ascetic frame of mind as an antidote to overconsumption, and at the same time a cultivation of the consciousness that man is a “steward ” and not a possessor of creation. The Church never ceases to emphasise that future generations also have a right to the the natural resources that the Creator has given us. For this reason, the Orthodox Church takes an active part in the various international ecological initiatives and has ordained the 1st of September as a day of prayer for the protection of the natural environment.